Building a Donkey Kong arcade cabinet! : 10 years on! Donkey Kong Fighter control panels! 10 years on! Donkey Kong Fighter control panels! Hi there! First of all, thanks for all your support and kind messages I've got over the past 10 years! Never would have thought that a personal blog of building my first arcade cabinet - which started this hobby - would still be a relevant and informative source for a lot of you. 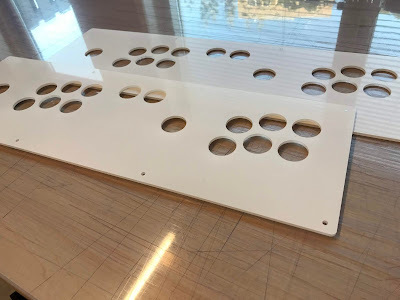 Speaking of you guys, most of the mails I get are about the 2-player 6-buttons control panel layout I designed way back when I started this cabinet build. Which I never finished, I decided to go for a regular Donkey Kong panel instead. But since some of you are interest in these control panels, I am in the process of building a few complete "DK Fighter control panels". These panels will have newly designed artwork themes for DK and DK JR., based on the old famous 2-player design. 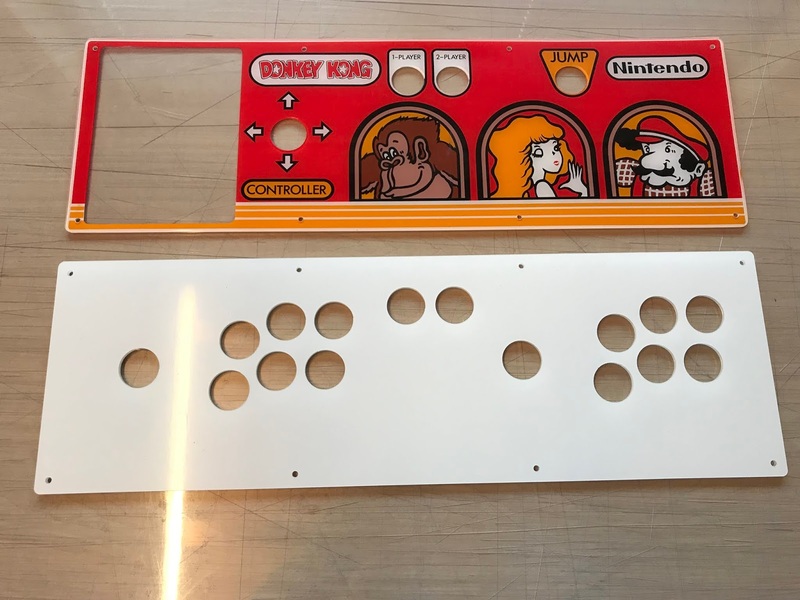 Which will be professionally printed printed in-house, mounted in reverse on laser cut acrylic (same size and specs as original Nintendo acrylic). Here are some teaser photo's to give you some insight of things to come. I expect the first batch to be ready in december 2018. Artwork not final but close. Button colors have yet to be determined, joystick balltops will probably be black like original Nintendo joysticks. But please let me know what you think about it or want to see! In the meantime, feel free to check out my Instagram or Facebook. 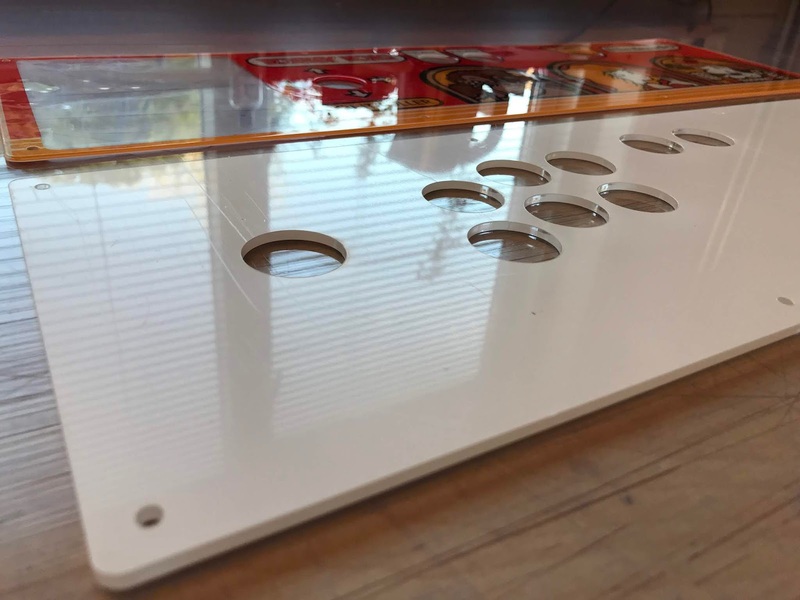 I post a lot of my arcade artwork reproductions on there. Thanks for your years long support!